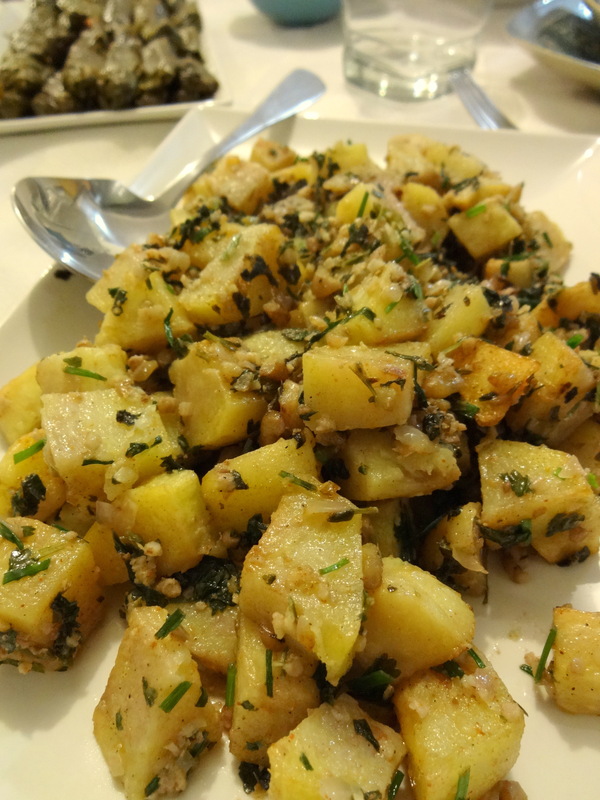 The tastes are very similar to Turkish food, sometimes the same and sometimes with different spices or techniques or combinations. On this very nicely prepared table, we had the small heaven of Geneva with feasts of delicious, real food! 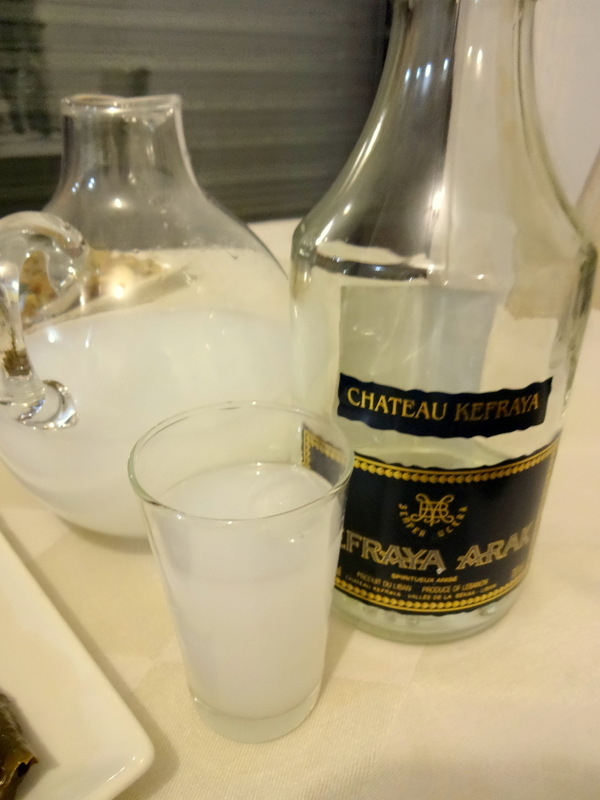 And of course Arak accompanied our dinner, together with his brother/sister from Turkey, rakı ! An exchange of culture, you can say, yes! 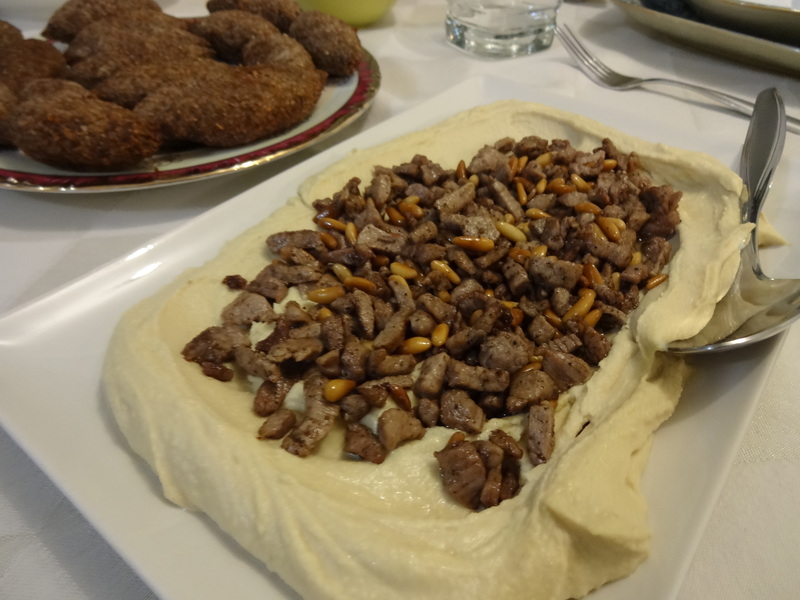 Two of my favorites, hummus and kibbe! I was surprised to find out that she put cinnamon to the meat on top of hummus, like the way my mom sometimes cooked meat! Another Ratatouille moment, back in time! 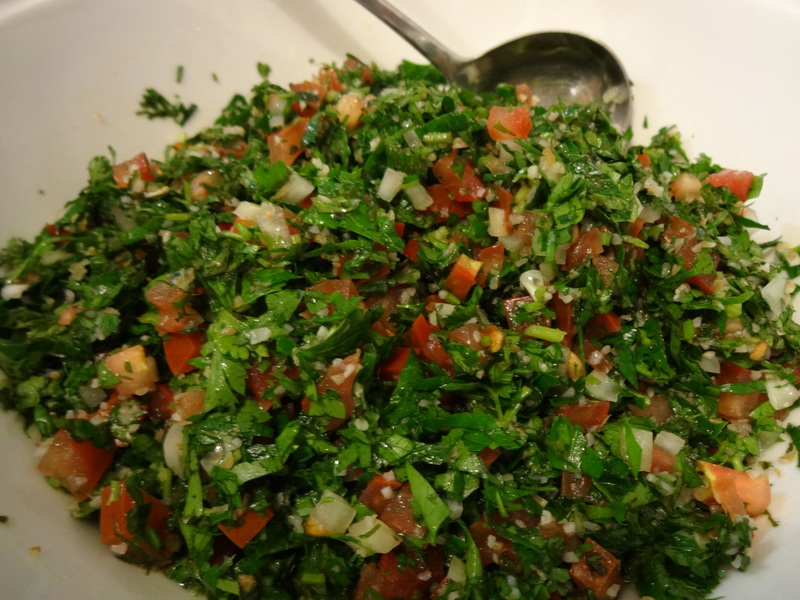 Tabbouleh and fattoush salads are of course at the center of our table, taking at least 4 times during this long course dinner! 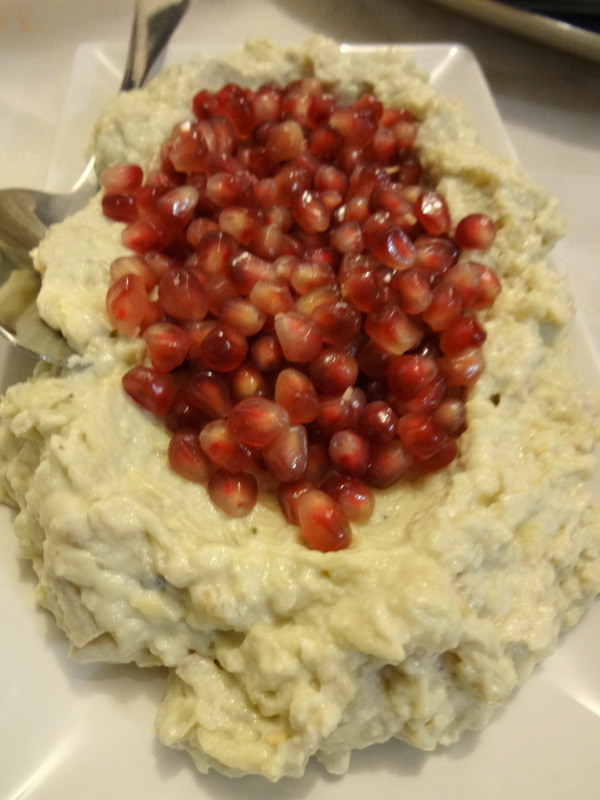 Did you know that babba ghannoush means spoiled dad?? Well, I didn’t and I loved it! 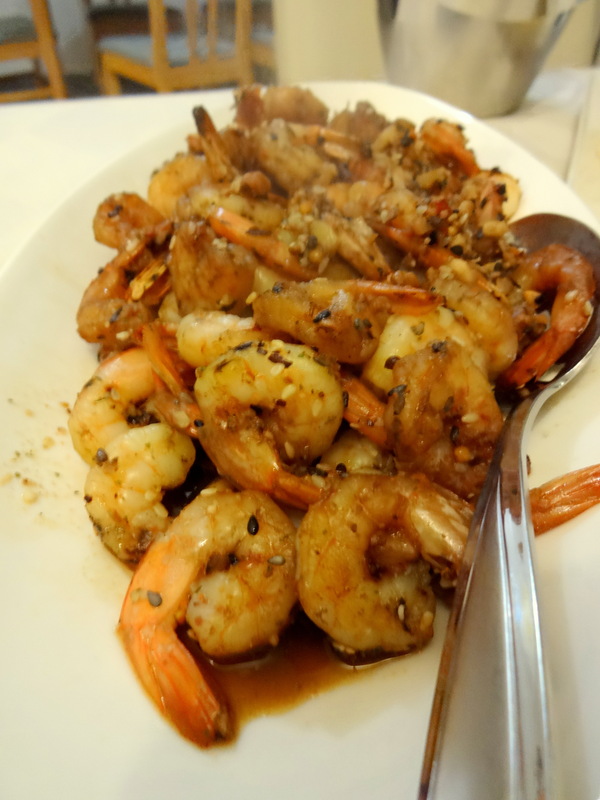 With that pommegrande topping, I am sure my dad would be spoiled with this! 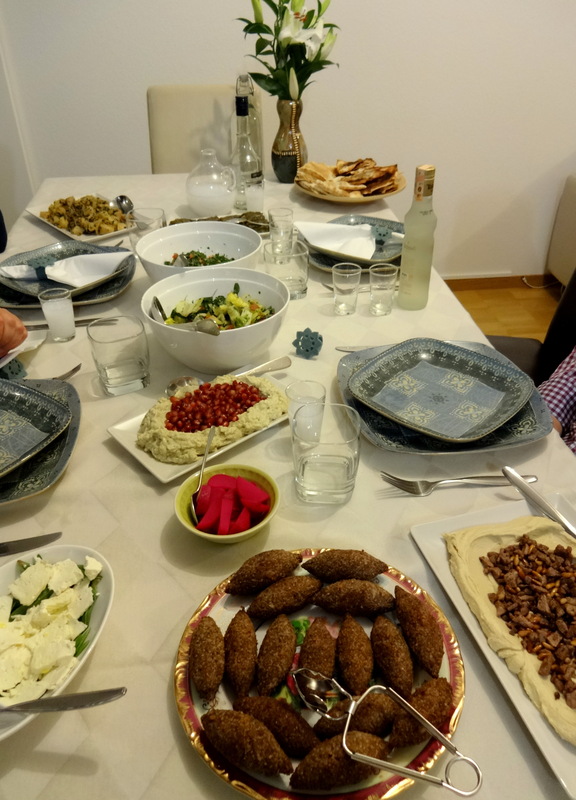 When you are invited to dinner with a very well prepared cook like Rola, you need stay hungry 2 days before as you’ll be served meat, chicken and seafood, accompanied by a delicious spicy potatoes, on top of all the meze you’ve eaten! 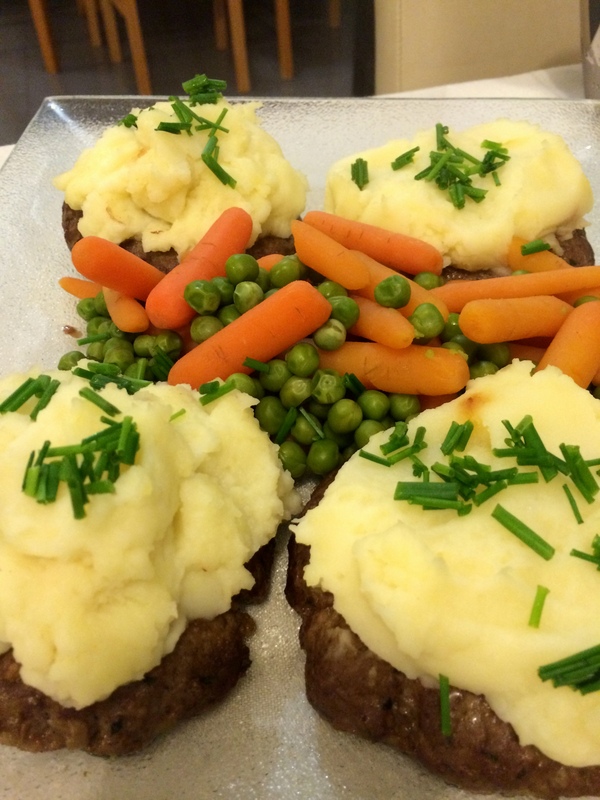 So you first plate will look like this and then you’ll go for 3 more times at least!! Oh yes, “oh my God”! 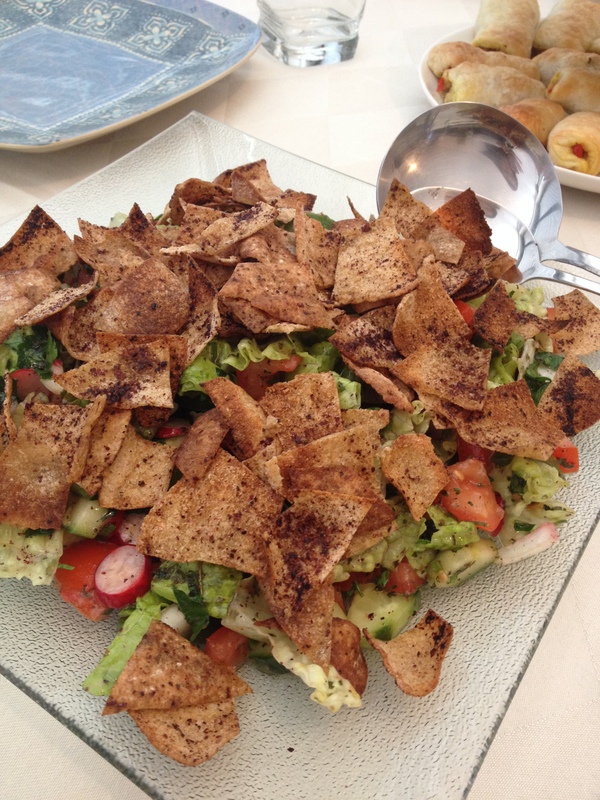 Another favorite of mine is the spiced (summak or zahter) crisp pita breads that accompanies hummus or other delicious mezze, the full Picture at the top! 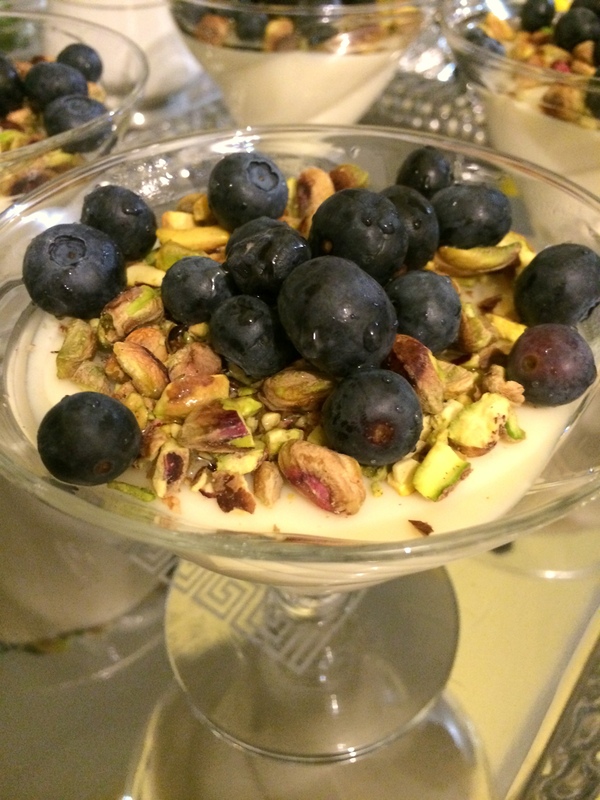 And a wonderful, refreshing end to our dinner is a light vanilla pudding-muhallebi-with fruits and nuts! 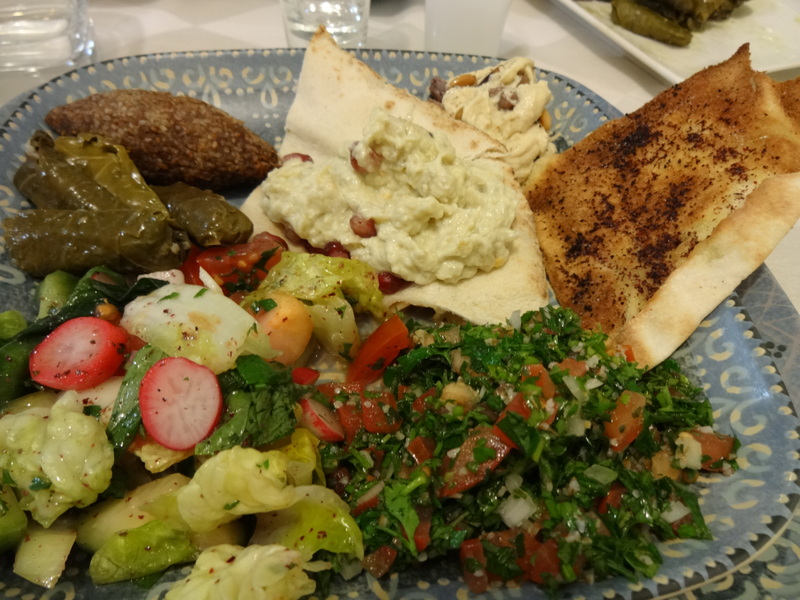 There is still so much to explore about Lebanese cuisine and looking forward to taste them, once I can loose the extra weight we gained on that evening! 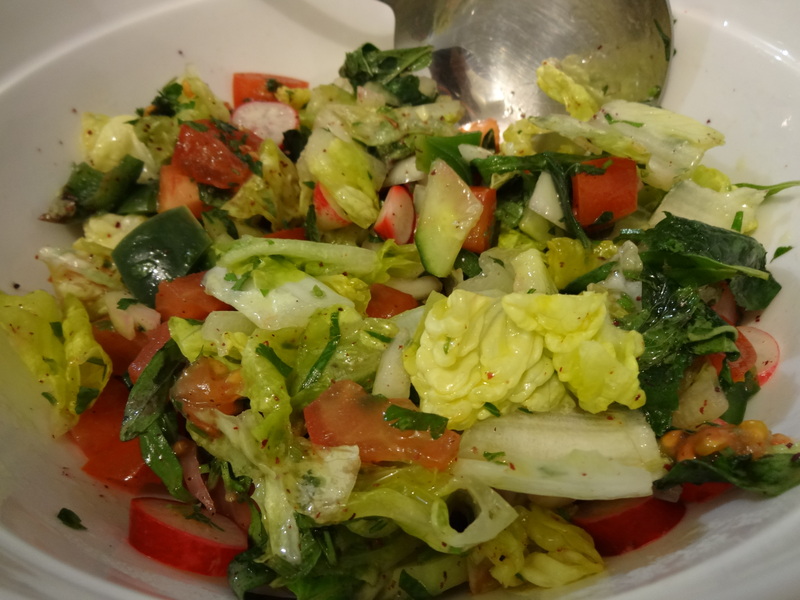 Thanks Rola again, ellerine sağlık (means health to your hands- a very nice compliment to the cook, as she must have worked so many hours to prepare this feast).